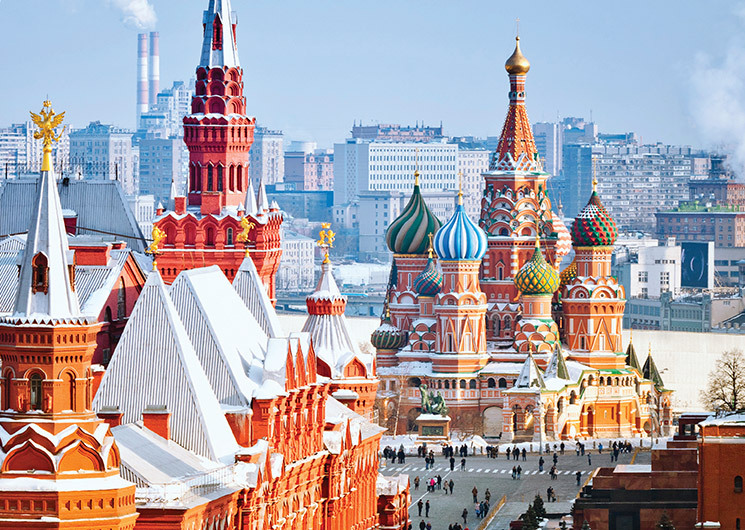 Moscow City already uses Better Platform™ to store clinical data from more than 500 primary care centers that cover healthcare needs of the city’s 12 million citizens. This expanded relationship will allow the city to build applications to manage care at over 100 hospitals across Moscow resulting in a unified electronic healthcare record across all care settings for every citizen. In addition, since Better Platform™ stores clinical data in a vendor-neutral openEHR format, the health record will provide a foundation for innovation by enabling an ecosystem of apps and applications from many vendors. "In 2011, the City of Moscow started a large scale project of implementing e-health in all municipal healthcare organisations. After providing applications to primary care institutions, we are ready to start the project to build a solution for hospitals. Marand, the supplier and vendor of Better Platform™ , provided cutting edge technologies allowing us to separate clinical data from process and application logic. This has been the main reason for choosing this platform for our project.” said Vladimir Makarov, Deputy Head of Moscow City Department of Information Technology. "Moscow is a very big city and the main challenge we have faced together with Marand during this project is the magnitude of the operation; nearly half a billion laboratory tests are carried out and nearly 8 million people visit medical institutions across Moscow in a single year. Over the past few years of our partnership with Marand, they have proven themselves to be a very innovative and reliable partner” added Makarov. “We are very proud of our longstanding relationship with Moscow City and are pleased they have chosen to expand the use of our Better Platform™. Their vision of separating applications from data is totally aligned with our product strategy, so we see their effort as validation of the vendor-neutral data concept. Since Moscow's electronic healthcare record is among the largest in the world, the size of the project also proves that it can be applied at any scale” said Tomaž Gornik, Better by Marand CEO. Integrated Medical Information and Analytical System (IMIAS) was launched in Moscow outpatient clinics in 2011. IMIAS provides patients with convenient alternatives for medical appointments, relieves doctors of the burden of paperwork and allows the authorities to supervise the provision of medical care. Better by Marand’s vision for healthcare IT is coined as "Integrate. Open. Innovate." Better Platform™ is well aligned with this vision as it uses IHE-based standards to integrate existing devices, systems and data. By storing data in an open, vendor-neutral format it enables ecosystems of vendors to innovate. This approach is fuelling next generation solutions known as the Postmodern EHR. Better Platform™ is a health data platform designed for real-time, transactional health data storage, query, retrieve and exchange based on vendor-neutral open data standards including IHE and openEHR.